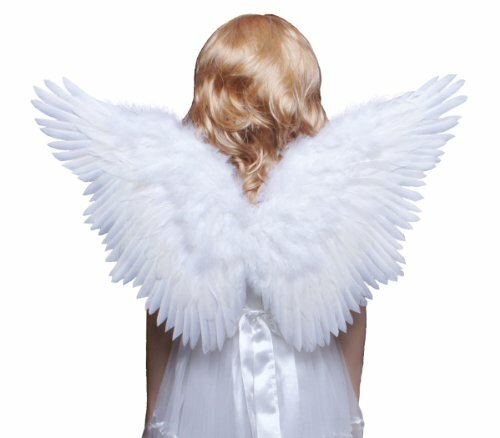 Our Deluxe Angel is a classic Halloween costume! It is also great for plays and pageants. Wings not included. A sturdy piece of cardboard is used as a base to define wing shape with feathers and downs glued to fully cover on both sides. Two elastic straps are attached for easy wear on the shoulders. An iron wire is embedded in the wings so they can be bent to different angles. Dress not included. 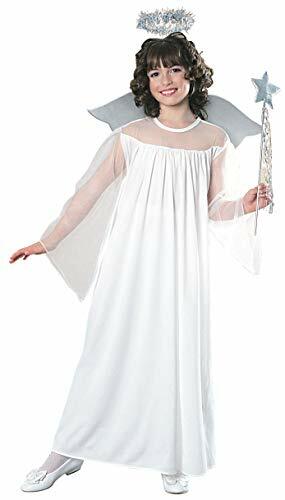 Showcase your sweet and pure side in this Fluttery Angel child costume! For more than 30 years, Forum Novelties has been a leader in the costume industry, as well as the joke, trick, magic and novelty gift item business. Forum offers over 8,000 items to choose from, ranging from baby costumes, to adult and plus-size costumes, to pet costumes. Look to Forum Novelties for all of your Halloween, luau, Christmas, Mardi Gras and St. Patrick's day supplies. From funny to frightening, Forum has it all! 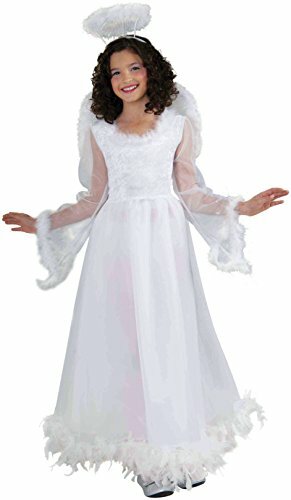 Charm everyone in this classic Angel costume that includes halo, wings, and dress. Rubie's brings fun and fantasy to dress-up with the broadest selection of costumes and accessories, offering everything from full mascot suits to masks and wigs, from deluxe licensed costumes to simple starter pieces, from costume shoes to character make-up, and so much more! Still family owned and still family focused after more than 60 years in business, Rubie's promotes safety in dress-up, so you can relax and have a great time while looking the part. Look to Rubie's for every costume occasion and season: Halloween, Christmas, Mardi Gras, Easter, and all in-between. 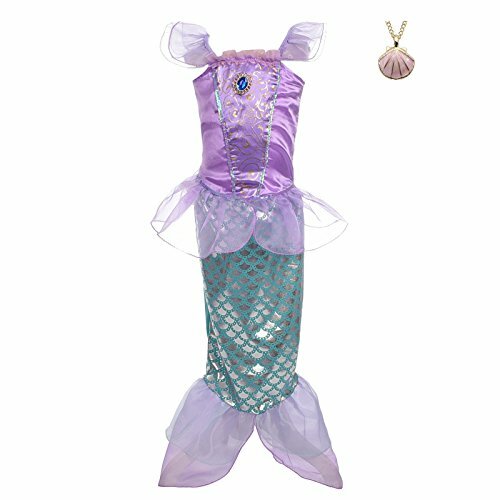 Your little princess will look like and feel like a real princess in this dress. 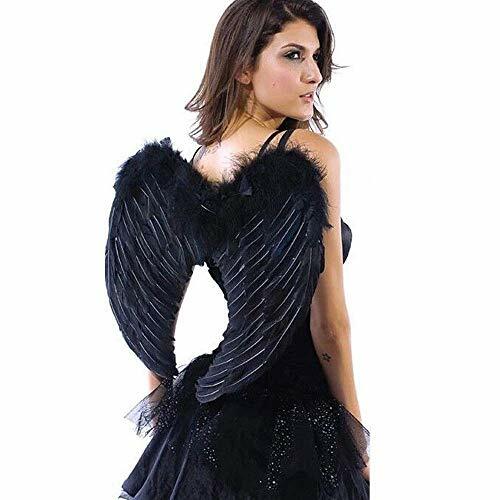 It is great for fancy dress party, Halloween, or simply for fun! You and your baby are going to love this costume. For the shipments fulfilled by seller, it takes 7-12 working days to arrive US. And normally it takes 7-18 working days to arrive other countries. Want to have the item in 2-3 working days? Please choose the expedited delivery service . For details, please refer to our shipping information. If you have any inquiry , please do not hestate to contact us. Color: Black-large 23.6" X 13.8"
Watch as she transforms into the sweetest little angel you've ever seen in this Snow Angel costume set. 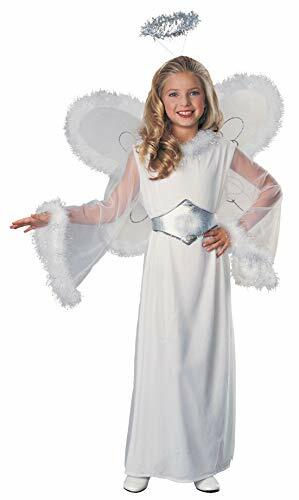 Costume set features a floor length white tank underdress and sheer long-sleeve white overdress trimmed in white fluffy angelic feathers around the sleeve ends and neckline, sheer angel wings with silver swirl details and feather trimmed edges, silver halo and silver waist belt. 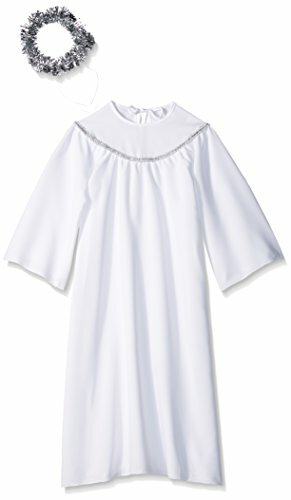 She'll have everything she needs to become the most beautiful angel on earth. 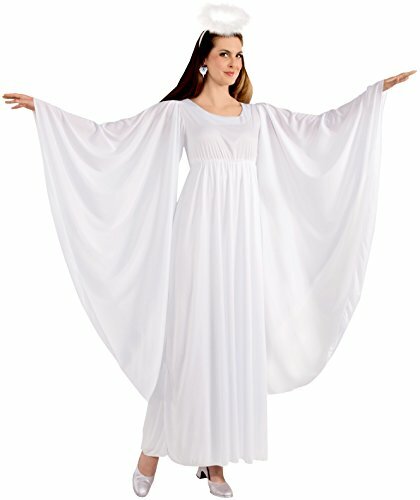 Includes dress with sheer overlay and belt, halo headpiece and wings; shoes sold separately. Rubie's Costume Company has been bringing costumes and accessories to the world since 1950. As the world's leader, we take our mission seriously to make dressing up fun! Mascots, rental quality costumes, masks, wigs, accessories, shoes, and every significant licensed costume you want to wear can be found under the Rubie's brand. Still family owned and still family focused, Rubie's brings you fun for every season: Halloween, Christmas, Mardi Gras, Easter, and every occasion in-between. Dark Angel Halloween Makeup & Costume!